It’s Palm Sunday and the start of Easter week. We shall be attending a concert of Bach’s St. John Passion for musical rather than religious reasons. I have written about the Bible story before. The Gospel of Judas – found in the 1970s and dated to 280 AD – is considered a Gnostic text and is not accepted as being part of the Bible. ….. Consider the timeline of Holy Week in the Bible story. Day 1: Palm Sunday: Jesus triumphantly enters Jerusalem with all his apostles, riding humbly (?) on a donkey. Spends Sunday night at Bethany a little to the east of Jerusalem at the home of Mary, Martha and Lazarus. Day 2: Monday: Returns to Jerusalem. Along the way he curses a poor fig tree because it had failed to bear any fruit. The tree withers. He enters the Temple to find it filled with money changers (forex dealers since the Temple only accepted Tyrian shekels) and merchants selling animals for sacrifice. He chases them out with much ado. He returns to Bethany to spend the night. Day 3: Tuesday: Jesus returned to the Temple in Jerusalem and played hide-and-seek with the priests who challenged his authority and tried to apprehend him. But he evaded them. In the afternoon he and his disciples climbed the Mount of Olives and he made prophecies about the destruction of Jerusalem. He spent the night again in Bethany. Matthew reports that Judas negotiated his deal with the Sanhedrin on this day. Day 4: Wednesday: The Bible is silent about this day. It is presumed Jesus and his disciples stayed in Bethany and took it easy. Day 5: Thursday: Jesus sent Peter and John to “prepare” (presumably to reserve it as well) the Upper Room in Jerusalem (The Cenacle) for the Passover feast which would begin at twilight and continue on Friday. At twilight he washed the feet of his disciples and then began the Passover meal – the Last Supper. He prophecies that he will be betrayed by one of his disciples – which they each in turn deny. He identifies the traitor as being Judas by giving him a piece of bread soaked in the dish and as soon as he does so, “Satan enters Judas” (?). From the Upper Room they all went to the Garden of Gethsemane. Here, late that evening, he is betrayed by Judas and arrested by the Sanhedrin and taken to the home of Caiaphas where the Sanhedrin Council have gathered. Day 6: Friday: Early on Friday morning, Judas is found dead. By the 3rd hour (9 am) the trial of Jesus has started. He is found guilty and forced to carry his cross to Calvary where he is crucified. By the ninth hour (3 pm) he is dead. Around the 12th hour (6 pm) his body is removed from the cross and is laid in a tomb guarded by Roman soldiers. Day 7: Saturday: The tomb is guarded by Roman soldiers all through the Sabbath day until dusk (12th hour – 6 pm). When the Sabbath ends, his body is anointed and prepared for burial by Nicodemus (himself a member of the Sanhedrin Council which found Jesus guilty). Day 8: Sunday: Early on Sunday several women went to the tomb and found it open and Jesus missing. He “appears” to five people during the day providing “proof” that he has been resurrected. It is not surprising that the Gospel of Judas is not accepted within the Bible. For that would mean that Jesus had orchestrated his own capture. Poor Judas. He may have just been a dupe chosen by Jesus to be the scapegoat. But if he knowingly sacrificed his life and accepted being remembered in perpetuity as the “betrayer” of Jesus, his was probably a very great soul. I only saw this yesterday but this You Tube video was posted by Tom Berry in 2010, so it’s been around for a while. Parton, slowed to a speed at which most people would sound like gloopy, slothlike creatures, comes down to a reasonable alto range, sounding like a soulful male ballad singer. 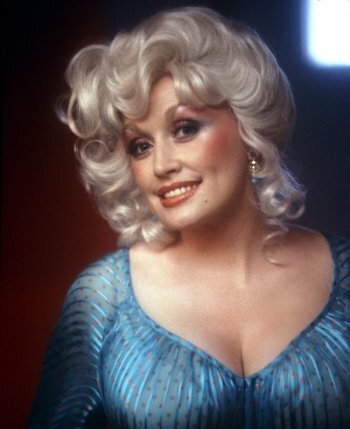 Dolly Parton was born in 1946 so here’s an image of her at 33 in 1979. I heard a lovely piece of music on the car radio a few days ago. It took me quite some time to track down what it was. I am not sure if this fine version is the one I heard. It’s the Sång till Lotta, composed by Jan Sandström and played here by Stefan Schulz, bass trombone of the Berlin Philharmonic and accompanied by Tomoko Sawano. Not very long but a very delicate bass trombone suggesting heaps of controlled strength. Last night we were at a Norrköping Symphony Orchestra concert, “A French Tone”. 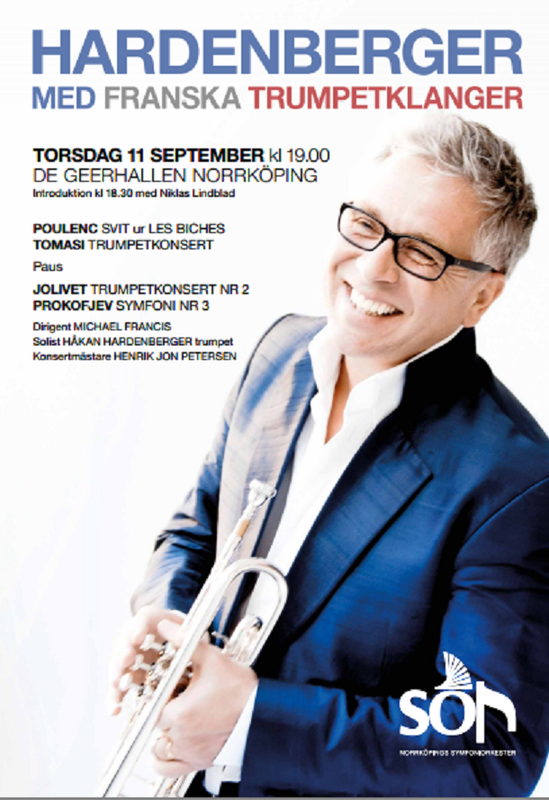 Sandwiched in between Poulenc’s playful suite and Prokofiev’s darkness were two – for me unusual – trumpet concertos featuring Håkan Hardenberger. Both were mid-20th century concertos, respectively by Tomasi and Jolivet, and both pieces had a level of discord that is beyond my musical appreciation. Jolivet’s 2nd trumpet concerto with its weird arrangement seemed particularly artificial and gimmicky. But Hardenberger’s clear and precise tones still shone through both concertos. Only very occasionally did the music give him a chance to show off the singing trumpet that he is so well known for. Well worth listening to – once. The Symphony Orchestra Norrköping (SON) is among the better second tier ensembles and acts as a stepping stone for up-and-coming conductors (Herbert Blomstedt, Franz Welser-Möst and Esa-Pekka Salonen among many others). We will be hearing more of Michael Francis. Hardenberger has been called the greatest trumpeter of his time and even “the cleanest, subtlest trumpeter on earth” by The Times. I am not qualified to make such judgements, but I just enjoy his tone and the way he makes a trumpet sing. I particularly like this excerpt from one of his Masterclasses at the Royal Northern College of Music where he demonstrates – with Bohuslav Martinu’s sonatine – how a trumpeter must be able to sing – in his head – what he is about to play. “Listen Before” as he puts it.